Buck hunting is like playing poker. To consistently win you must put your money where and when the odds are best. 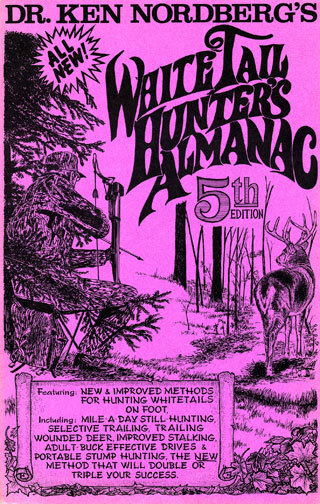 The trouble was, during our past firearm deer hunting season we had drawn practically every card that can spoil hunting success .We had bright (no flashlight needed) moonlight throughout the first nine nights. We had morning after morning of 10–12 below-zero weather. We had strong winds daily, steady and/or gusting, driving rain, sleet and snow horizontally. We had a heavy snowfall. 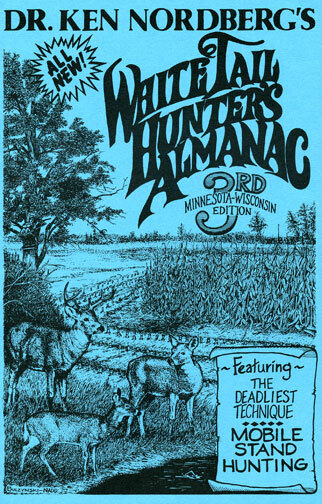 Due to our two previous severe winters our deer numbers were almost as low as back in the late 1960s. 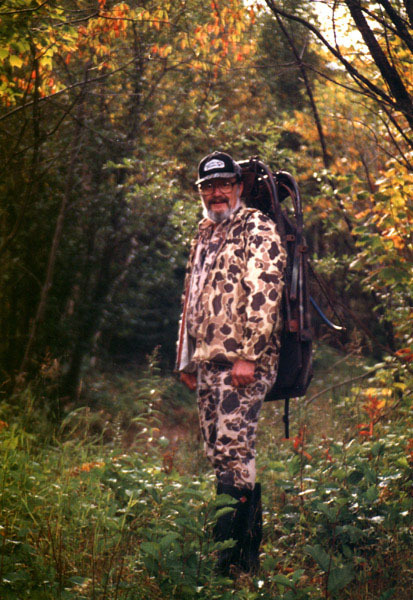 More than 50% of our far-north hunting area was completely devoid of deer (no tracks, no droppings, nothing). Only antlered bucks were legal. 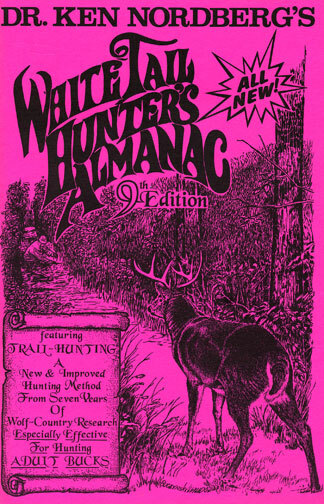 Antler rubs and buck ground scrapes were extraordinarily rare. 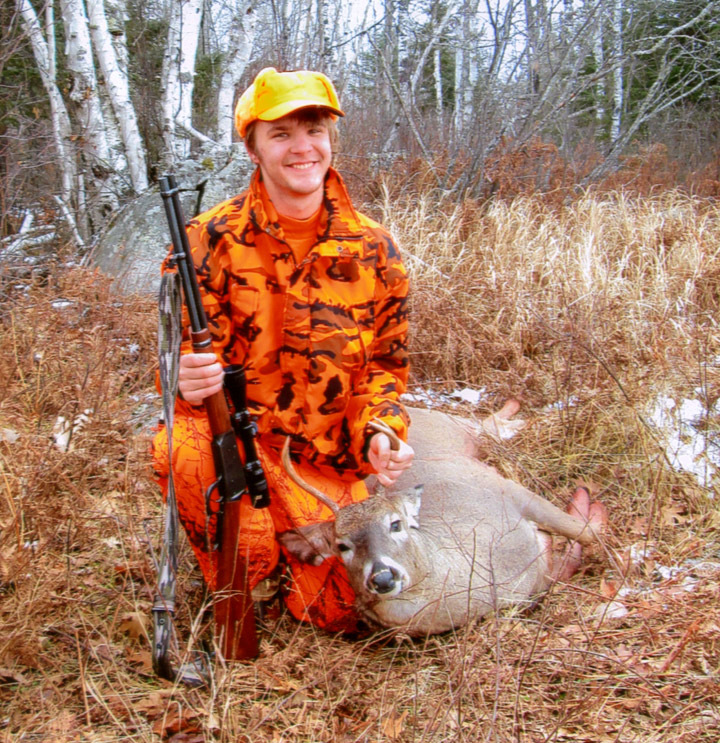 Because few fawns survived our past two severe winters, easy-to-hunt yearling bucks were rare. Bucks 2-1/2 years of age were uncommon as well. 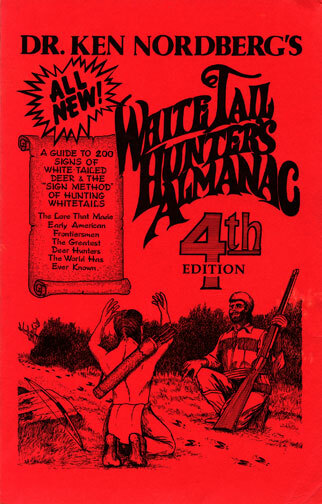 Practically the only bucks we had to hunt were 3-1/2 to 5-1/2 year-olds, the most elusive whitetails of them all. The only two things we had going for us was 1) breeding was in progress from November 3rd through the 17th (as usual) and 2) weather finally dished up a midday feeding cycle. Take the moonlight. 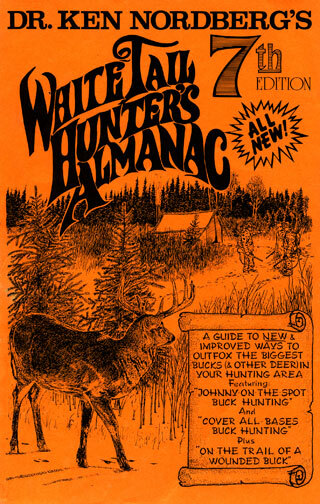 Especially where hunting pressure is moderate to heavy, whitetails are most active at night. Hunting pressure is always moderate to heavy in wolf country where we hunt. If there is bright moonlight in the morning, whitetails begin heading to their bedding areas early, not uncommonly by sunrise. If there is bright moonlight in the evening, whitetails typically wait until darkness to begin feeding, During the first nine days of our past hunting season, we had bright moonlight from sunset to sunrise, even while it was cloudy. This is very unusual. Our 10–12 below zero mornings were typically accompanied by bitter 10–20 mph north or northwest winds. Winds 10 mph wouldn’t have been totally ruinous if it hadn’t been so cold. 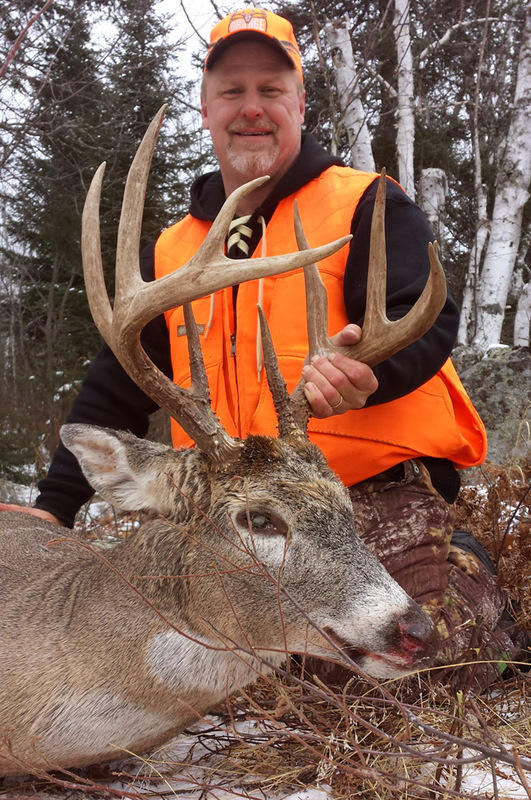 Whitetails do not like winds when the temperature is below zero. They typically remain bedded under such conditions. When winds exceed 15 mph, tree branches clatter and tree trunks groan to the extent that whitetails are fearful of leaving their well-hidden beds during feeding hours whatever the temperature, especially during daylight hours when they know hunting humans are afoot. The wind and snowfall that blanketed our area on the 4th and 5th days of our past hunting season was not only heavy enough to make whitetails remain bedded while the snow fell, but as is typical following the first heavy snowfall of winter, they remained bedded for 24 hours after the storm passed. This was the reason few if any deer were seen on Tuesday, Wednesday or Thursday. Though breeding was in progress, moonlight and weather combined to make whitetails largely limit breeding and other rut-related activities, (such as does in heat searching for a breeding buck or dominant bucks searching for does in heat) to nighttime hours only. 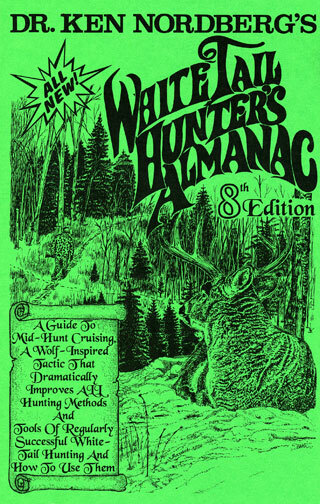 Moreover, because surviving dominant bucks had so little competition and fewer does were to be found scattered over much larger areas (too large for dominant to keep exclusively to themselves), most did not bother to make and regularly renew breeding range markers, antler rubs and ground scrapes (signs many human hunters still mistakenly key on in November). One change that was particularly strange was our deer were ganged up (herded) in two specific areas up to a square-mile in size (using about 10% of each per day). On certain days it was not unusual to see 2-3 mature does (not including yearlings or fawns) traveling together in both areas and lots of fresh tracks made by them during previous nights. During spring, summer and fall mature does and their young not uncommonly feed together in off-range clear-cuts or farm fields, for example. Normally, however, throughout fall and early winter each mature doe (old enough to have young) sticks to its own established home range, averaging about 125 acres in size, and vigorously attacks any other doe with young that dares to invade its range. 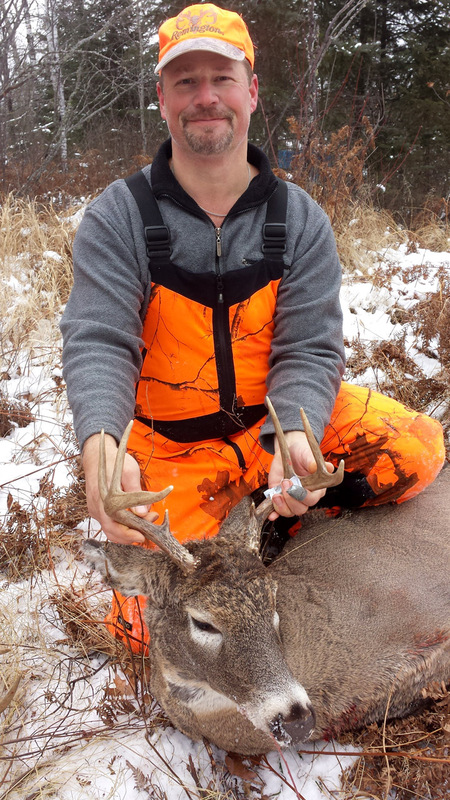 Because breeding is normally in progress during our firearm hunting seasons, we make it a rule to hunt close to does (most predictable in time and location), hoping to find a buck accompanying one in heat. Wherever we saw one doe we usually saw more. They were even bedding together. Ordinarily, this does not happen until they congregate in wintering areas beginning in late December. Perhaps because there were so few deer in our area, surviving deer felt safer while herded — safer from being singled out by wolves and human hunters and safer because more whitetail eyes, ears and noses working together made it easier to detect and avoid danger. Despite all this, we nonetheless managed to take four mature bucks, our usual self-imposed limit. One was one of the four largest ever taken by my hunting partners and I since 1990 (now being mounted). All were taken in or adjacent to feeding areas frequented by does. When sighted, the bucks were either accompanying does in heat or searching for them. The first two were taken opening weekend before the more frigid weather began. The second two, taken an hour apart, were spotted during the kind of weather that normally triggers midday feeding cycles in winter, developing midday on the second Saturday. Though it was again 12-below-zero, cloudy and windy at sunrise that morning, by 11 AM while we were all back in camp, the wind died, the sun came out and the temperature rapidly rose to nearly 30 degrees above zero. Realizing what was about to happen, we all quickly headed to promising stand sites. We all saw deer during the next two hours but only two of us saw deer with antlers, one a nice 8-pointer and the other a monster 10-pointer. 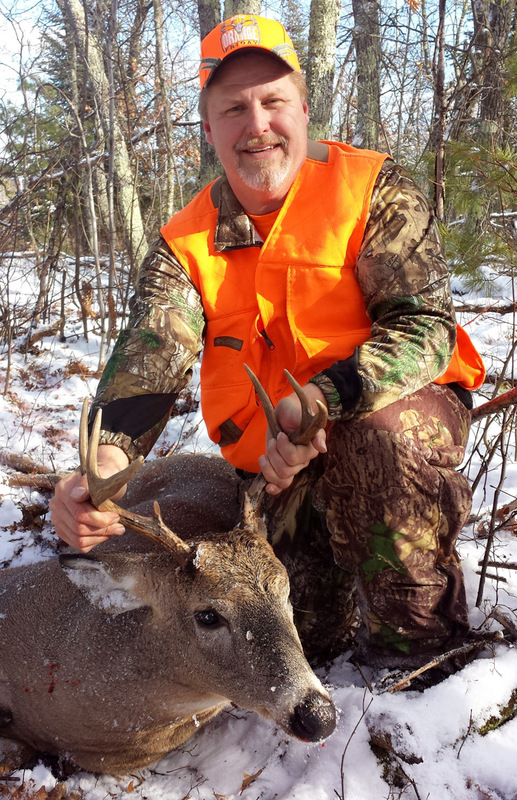 That forenoon we didn’t hesitate to put our money where and when the odds were best and it certainly paid off, doubling our buck hunting success.